Get FREE The Beast Who Will Worship It Religious Book from 666truth.org. Just head over to their website and fill out the form. If you are on of the first 10,000, you should expect to receive your free copy within the next 6 - 8 weeks. 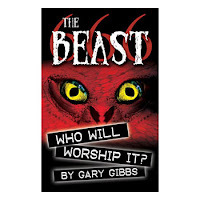 This provocative pocket book unflinchingly reveals how Satan is now preparing people all over the world to fall for his most powerful last-day delusion — and to accept the mark of the beast. It just might be one of the most important and eye-opening 32 pages you’ve ever read!